What is a Mortgage Banker Bond in Arizona? A Mortgage Banker Bond is a type of license bond. The purpose of the bond is to protect the state or governmental entity for certain things, such as the payment of taxes. How Much does a Mortgage Banker Bond Cost in Arizona? How do I get a Mortgage Banker Bond? We make it easy to get a Mortgage Banker Bond in Arizona. Fill out the form above and we’ll get right on this for you. Then we’ll get the Mortgage Banker Bond right out to you. Easy. Use of permit bonds and license bonds is an important requirement of lots of governmental bodies to corporations before beginning their functions. License bonds and permit bonds are the government’s method of ascertaining that all businesses approved to function within their territory adhere to the governing rules in operating any type of business. For this reason, it’s essential to acquire these bonds whenever a professional or any company or corporation determines to start its operation. These bonds provide the government a guarantee that all governing rules set related to their business or profession is correctly adhered to. Should a bondholder fail to follow the laws and regulations, it will become simpler for the government’s judicial body to recognize him or her. This is why it is essential for any company or professional to obtain these bonds. If you’d like to understand how you can get a permit bond, here is a helpful guide for you. The following conversation clarifies about the essential facts that relate to license and permit bonds. 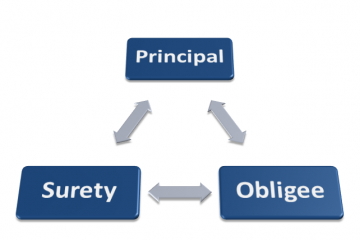 There are different kinds of license and permit surety bond. Basically, the type of bond that you will need may depend upon the nature of your company. The difference is the function, and how the bond protects the customer. The primary purpose of license and permit bond is to help the clients recover particular sum of money should the contractor fails to supply, and also to provide them the right to sue the failing contractor. If you fail to execute as you’ll need to, the consumers can report your bond, which will result in investigation, which in turn leads legal action. As a business owner or manager, you are going to be accountable for the processes that your business follows and the legal conditions governing these processes. Remember that governmental laws are always of high importance. Performance bonds, however, help the consumers get insurance. It’s necessary for contractors to supply result on the agreed date in cases of infrastructure projects. Meeting all specifications asked for by the client is area of the quality services. If you fail to meet your client’s expectations, the client will get compensation for the lost funds and another professional will require your place. Particularly, the contractor has no apparent reason not to be able to deliver the project result prescribed in a contract agreement, which is secured by the performance bond. It’s since he or she has the skills, knowledge and tools to execute the operation. In some cases, nonetheless, contractors fail to comply what is required. Nonetheless, the client will not suffer any loss. It is very important to acquire permit and license bonds. The government requires the use of bonds as a protection to clients who engaged in professional services and construction companies. The usage of bonds has a lot of advantages, and the first one is the assurance of obtaining systematic processes. Since the government provides a set of rules which should guidebook all business functions and processes, the company specialists should follow these. If not, the client has the right to sue the bond in order to get the settlement they deserve due to the contractors’ irresponsibility. The consumer will get insurance that totals up to the bond available should a professional fail to meet all the demands of the client. As a result, bonds serve as the clients’ protection that their projects are insured. Also, the contractors are locked to this insurance. In addition to the privileges of getting a license, the government may also provide restrictions to make certain that rules are followed totally. Do you realize that the government can provide limitations in building houses with more than two floors for instance? Consequently, permit bonds will guarantee that a specialist restricts his or her services to the government’s restrictions. It is not difficult to apply for a license and permit bond as long as you stick to the right processes. The following are the easy steps that you should follow when applying for license and permit bond. First, you should fill the application form. You could easily acquire this online application form by using the online platform of an approved forum. Before you decide to can submit the application online, there might be a prompt asking you to verify the information you filled in each fields required. Once you get the form, you should only use the honest information when filling it. The quote may help you understand any payments that you’ve got to make and the amount. Consequently, the amount you have to pay for the bond is already offered in the quote. You will not get a quote if you haven’t submitted the application form or if the application failed. After obtaining a quote, the next step can be the actual payment. When you make payments, you are going to get a license and permit bond. Don’t lie in the form. It is because doing so will only result in issues, such as legal action. The government is cautious while checking this info. Even when you have poor credit scores, try using the appropriate information. In addition to the different kinds of surety bonds, and its advantages, there are other essential facts you need to discover more about license and permit bonds. Permit and license bonds serve as an insurance to clients, which cover certain portion of the whole project cost they are venturing. Let us take for example the entire project cost is $500,000. This isn’t the full amount insured to surety bonds. This permit bond does not require you to pay that exact amount of cash. Instead, the payment you make will only be equivalent to 1% of the entire bond’s worth. Another purpose of license and permit bonds is the security it provides to consumers that the contractor will conduct. If you are a contractor, you should as a result comply with this governmental requirement to be able to avoid legal cases with your consumers. You need to be careful not to obtain bonds from unverified government bodies. Responsible action is to recognize the exact type of bond that works best for your company. See our Arizona Mortgage Banker (Commercial) Bond page here.